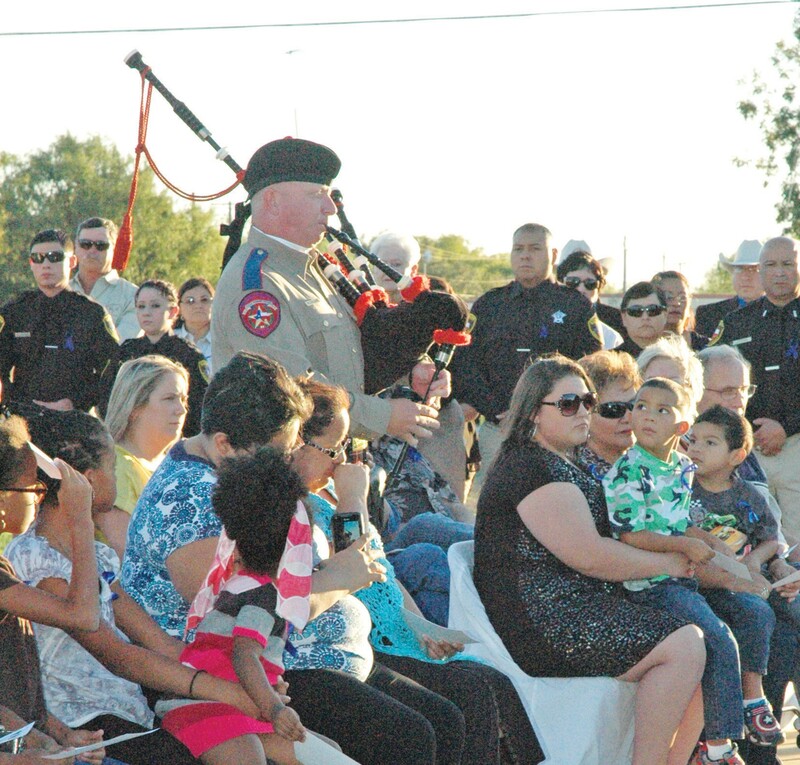 The widows of the fallen officers, family and friends – including law enforcement personnel from all over the area – gathered to remember the lives of Atascosa Deputies Thomas Monse, Mark Stephenson and State Trooper Terry Miller on Monday. The service commemorated 15 years, October 12, 1999, of these brave men. The DPS bagpipes played “Amazing Grace” during the ceremony.